Interestingly enough, Google didn’t beat it to the punch with its first own 4K Chromebook. 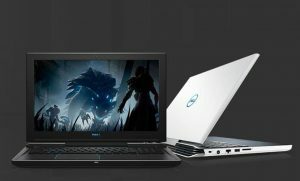 Lenovo just did it. With the expectation of Google finally launching its second-gen Pixelbook (ahem, we’ve been waiting), perhaps Lenovo made yet another smart choice. 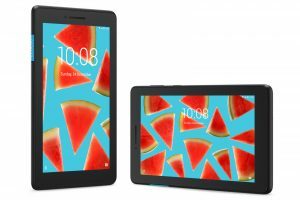 The tech giant sure knows when to pull some strings, as well as take risks, in regards to its release of five new Tab Series tablets just last month. 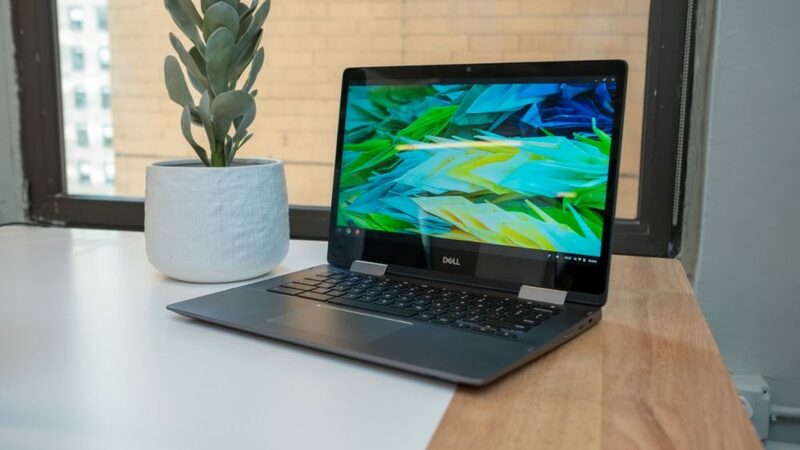 Priced at just $600, this 2-in-1 not only has a 4K display, but brings in 8th Generation Intel as its CPU processor, a steal compared to the 2018 titled, “best Chromebook ever made”, a.k.a., the QHD Google Pixelbook, which has 7th Gen Intel. 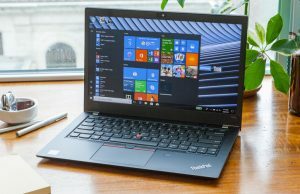 Hence, Lenovo’s latest carving in the laptop market is making a bigger, better Chromebook, one that holds fast performance and comes in a multifunctional form-factor. 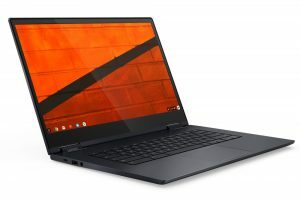 The 15.6-inch 2-in-1, probably larger than 90 percent of existing Chromebooks, is Lenovo’s Yoga Chromebook. 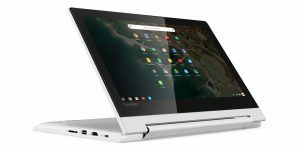 Akin to the Yoga series of the Lenovo family, you can guess that the Chromebook would probably be a convertible, and you’d be correct. Its dimensions include 14.23in x 9.8in x 0.7in, with a weight of 4.2 pounds. 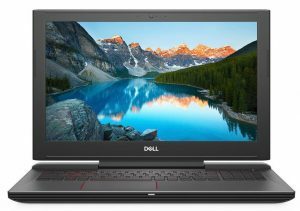 Its 15.6-inch Chromebook comes in two, models, featuring either FHD or UHD IPS touchscreens, with ‘nearly-edgeless’ LCD bezels. Attached is its 360-degree hinge, of course, allowing all four modes of use- tent, laptop, presentation, and tablet. From looks alone, the display gives away the clue that this sleek, larger form-factor convertible is high-end. 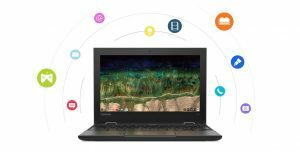 In fact, the Lenovo Yoga Chromebook comes with higher-end hardware and processing power than most Chromebooks out there. 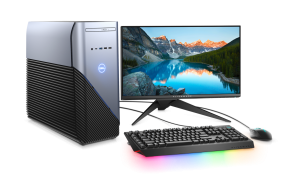 It’s packing an 8th Gen Intel Core i5 chip with four cores and eight threads, the Core i5-8250U Kaby Lake R CPU, 8GB DDR4 RAM memory, and either 64GB to 128GB of eMMC 5.1 flash storage. The Chromebook also has integrated Intel HD Graphics 620, which, along with the rest of the package, makes for pretty killer performance. There are two USB-C ports, which both support charging, one USB-A port, a microSD card reader, and a headphone jack. 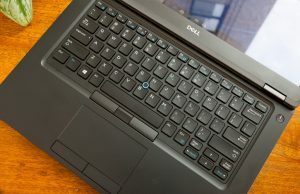 Glaze over the top edges of the machine and you’ll find a spacious trackpad, and backlit keyboard. Of course, you can start exploring the Google Play store right out of the box, and its expanded support allows for some pretty light gaming. Whether your type of fun is working, watching or playing media, or giving a shot at an Android gaming application, you can play as long as you want. 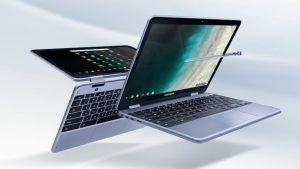 The Chrome operating system is lightweight, and thanks to its 56 watt-hour battery, the Yoga Chromebook can run for 10 hours before needing a charge. Larger is better in the case of designing a different Chromebook. This is usually done to enhance all aspects of performance. 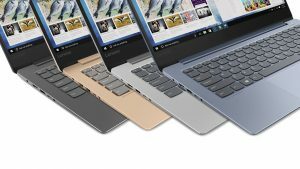 As Lenovo intended, the extra horsepower was vital to the Yoga Chromebook, especially for the multitasker and power users. Additionally, with the extra real estate in its display, the Yoga Chromebook will run its Android apps cleaner. The origin of Chromebooks belonged to the educational sector, as well as folks like myself who enjoy Chrome to manage my work and home life. 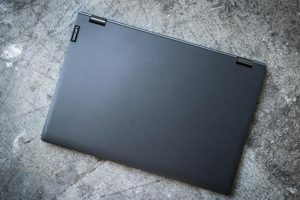 Along the evolution, there have been more than affordable machines, but as of late, Lenovo satisfies the higher-end Chromebook niche by treating the machine like any other mid-range to business laptop, opting for better hardware, a larger LCD screen size with ultimate display quality, and packing a top-notch CPU. 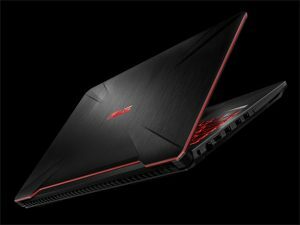 Loaded with high-end specs, and a low starting price, of just $599. What do you say? 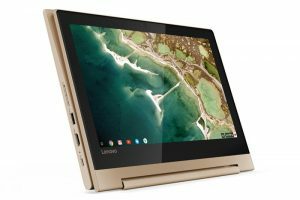 I’d say good job to Lenovo, at its first stab at a premium Chrome OS machine. 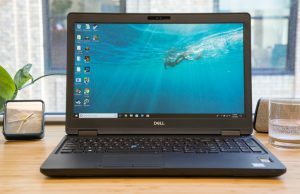 If what you’re into is a smaller, simpler machine, with a super lightweight package, perhaps you could try out the Lenovo C330 Chromebook, or the Dell Chromebook 3189, both in 11-inch form factors, and weighing a pound or two less than the Yoga Chromebook.